I have a 77 Reinell cabin cruiser. The floor in a small area has gone soft in front of the sink. 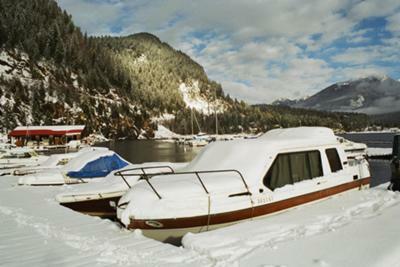 This boat is used anytime of the year and is in the interior of British Columbia in a lake which does not freeze. Can this be patched or does the whole interior have to come out for repair?